EXCEED D19 starter kit, being a compact and sleek vaporizer but also efficient in all ways, presents you with two optional modes: direct output and constant voltage output along with advanced dual circuit protection. 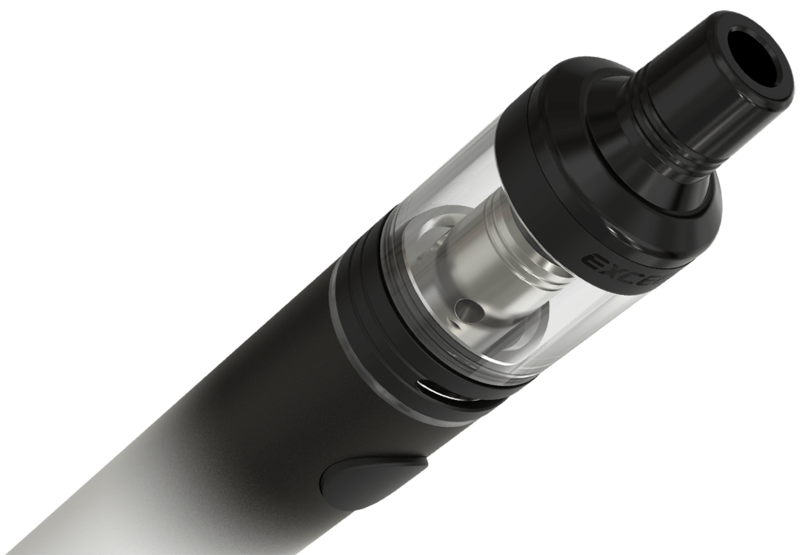 The EXCEED D19 atomizer adopts an easy way of e-liquid filling system and exquisite adjustable airflow control. New EX series heads with novel designs are meant to provide pure flavor with great vaping experience, no matter for mouth-to-lung or direct-lung. 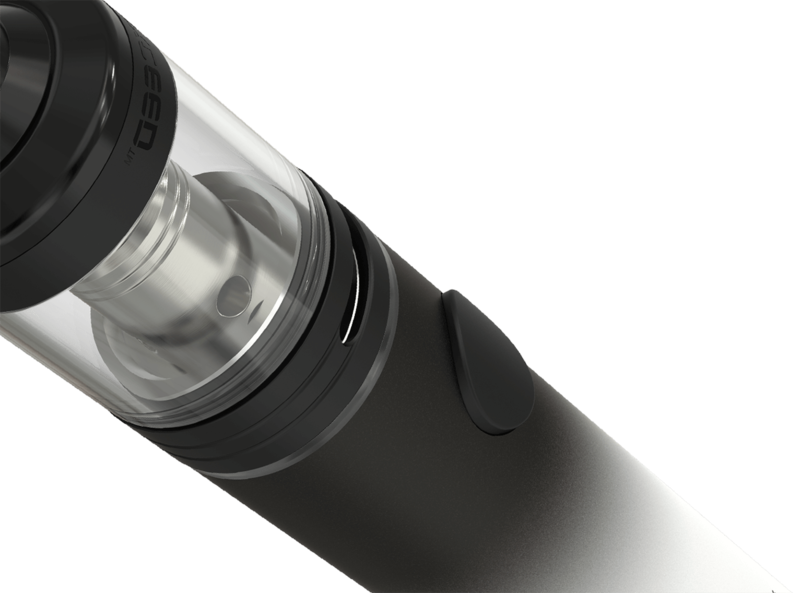 Its simplicity makes vaping easier and more convenient. Petite yet powerfulThe EXCEED D19 starter kit is petite in appearance, as long as a real cigarette, but is powerful to produce enough vaporing clouds. are especially and perfectly designed for the EXCEED atomizer. The EX series heads are meant to offer you the perfect original flavor ever. In order to pursuit the ultimate vaping experience, we designed a special airflow control based on the difference between mouth-to-lung and direct-lung inhales. Unscrew the top cap and inject the e-liquid directly into the holes from both sides. over-current and over-discharging, which makes it more advanced and reliable. 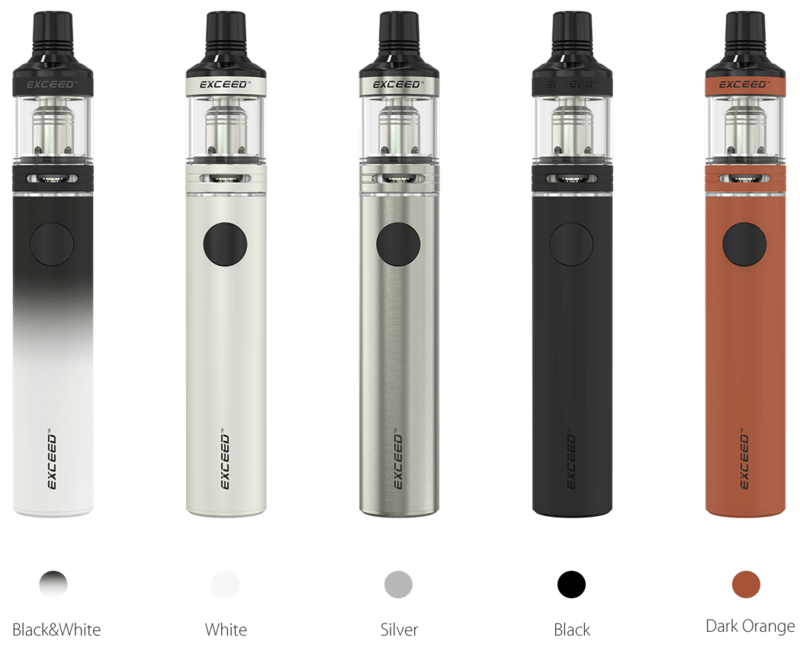 Being simple to operate and wonderful in vaping, the EXCEED D19 kit applies two modes: Direct Output mode and Constant Voltage Output mode. When powered off, long press the fire button to shift between direct output mode (white light) and constant voltage output mode (orange light). Release the fire button to choose the current mode. 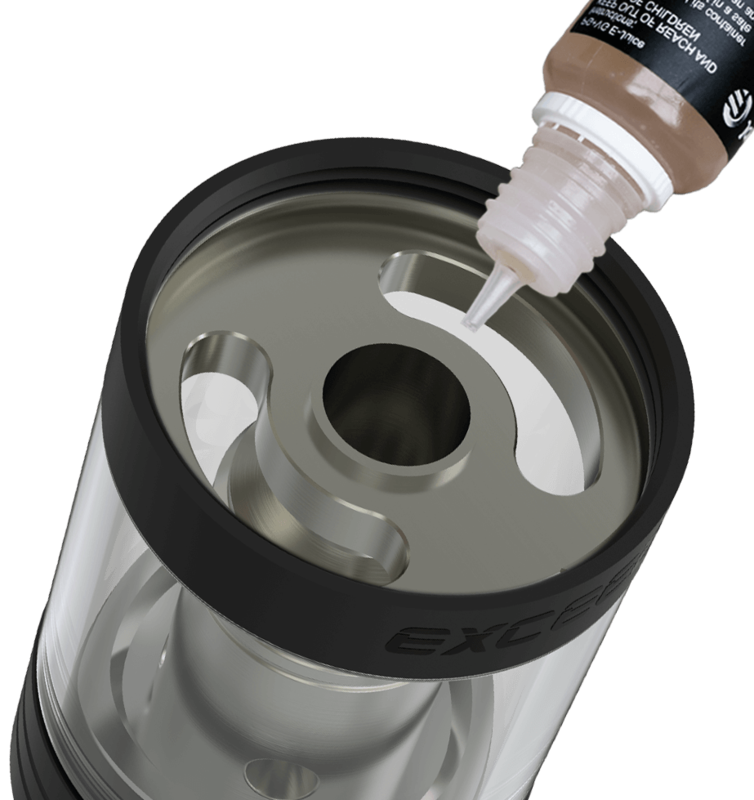 The EXCEED D19 atomizer can be easily detached and is able to wash separately. Available in multiple attractive colors, the EXCEED D19 kit makes your daily vaping interesting and colorful. The indicator light will flash slowly or stay lit when battery quantity is high, on the contrary, the light flashes in frequency.